4-Henry Grieg Reid was born on 14 Jun 1822 in Edinburgh, Midlothian, Scotland, died on 1 Jan 1855 in Sidmouth at age 32, and was buried in Auld Kirk Cemetery, Sidmouth. Henry Gray Reid was killed accidentally as a result of falling from a cart. James married Catherine Barrett, daughter of James Barrett and Catherine McDonald, on 28 Aug 1867 at Launceston, Tasmania. Catherine was born on 6 Apr 1846 in Launceston and died on 4 Oct 1867 in George Town, Tasmania at age 20. James next married Mary Louisa Godfrey, daughter of convict ↑Henry Godfrey and Mary Clark, on 27 Jun 1871 in Westbury, Tasmania. Mary was born on 1 Jun 1848 in Westbury, Tasmania and died on 21 Sep 1926 in Burnie, Tasmania, Australia at age 78. They had six children: Mary Louisa, William Barrett, Eleanor Mary, Annabella Louisa, James and Charles. 6-William Barrett Reid was born on 8 Apr 1872 in George Town, Tasmania and died in 1935 at age 63. He built ships, mainly at Robin Island, Tasmania.William married Lillian Elsie Burns in 1916 in Tasmania. They had three children: Robert Burns, Allan and Donald. 7-Donald Reid. Donald married Olga Grace Cameron. They had one daughter: Beth Maree. 8-Beth Maree Reid was born on 25 Aug 1951 in Smithton. Beth married Neville John Collis, son of Percival Collis and Thelma Allen, on 31 Oct 1970 in Baptist Church, Smithton, Tasmania. Neville was born on 7 Jun 1943 in Devonport. They had two children: Marcus John and Karreen Maree. 9-Marcus John Collis was born on 18 Jul 1973 in Burnie, Tasmania, Australia. 9-Karreen Maree Collis was born on 30 Jul 1976 in Smithton. Karreen married someone. He had one daughter: Jessica Lee. 10-Jessica Lee Wills was born on 26 Aug 1992 in Burnie, Tasmania, Australia. Karreen married Henry Brinkman. They had two children: Cameron John and Alistair Keith. 10-Cameron John Brinkman was born on 6 Jul 2000 in Queenstown. 10-Alistair Keith Brinkman was born on 11 Jul 2000 in Burnie, Tasmania, Australia. 6-Eleanor Mary Reid was born on 15 Aug 1873 in Horton, now Circular Head. Eleanor married William James Madden in 1906 in Tasmania. Eleanor next married Maurice Sampson. 6-Annabella Louisa Reid was born on 31 Mar 1875 in Horton, now Circular Head. 6-James Reid was born on 20 Jul 1877 in Horton, now Circular Head and died on 7 Jan 1965 in Tasmania at age 87. James married Eveline Malley in 1905 in Tasmania. Eveline was born on 25 Jan 1884 in Stanley and died on 19 Jul 1970 at age 86. They had eight children: Eleanor, Leonard Stanley, Clarence, Raynor Malley, Mary Jean, Madge, James Henry Athol and Dora. 7-Leonard Stanley Reid was born on 19 Jul 1906 in Stanley. Leonard married Dolly Harvey. 7-Clarence Reid was born on 28 Oct 1910 in Stanley. Clarence married Valmai Pithouse on 21 Apr 1942 in Tasmania. They had three children: Claire, Janice Faye and Lynette Anne. 8-Claire Reid. Claire married Lloyd Murphy on 6 Jul 1963 in Tasmania. They had two children: Craig and Susan. 8-Janice Faye Reid. Janice married David Patterson on 4 Jan 1969 in Tasmania. They had two children: Jennifer and Catherine. 7-Raynor Malley Reid was born on 1 Sep 1913 in Stanley. 7-Mary Jean Reid was born on 17 Feb 1918 in Alcomie, Tasmania. Mary married Ulric John Kay, son of George Austin Kay and Annie O'Halloran. Ulric was born on 29 Jun 1914 in Irishtown. They had three children: Kevin, Pauline and David. 8-Pauline Kay. Pauline married Bruce Irvin. 8-David Kay. David married Sue. 7-Madge Reid was born on 3 Aug 1919 in Alcomie, Tasmania. Madge married Robert William Hay, son of Frederick David Erven Hay and Martha Sophia Walker. Robert was born on 7 Aug 1915 in Penguin. They had two children: Helen and Geoffrey. 8-Helen Hay was born on 5 Oct 1938. Helen married Bruce Rees. Bruce was born on 5 Jul 1930. They had three children: Nicholas Bruce, Jonathon and David. 9-Nicholas Bruce Rees was born on 20 May 1962 and died on 16 Feb 1968 at age 5. 9-Jonathon Rees was born on 10 Jun 1964. 9-David Rees was born on 17 Feb 1967. 7-James Henry Athol Reid was born in 1922 in Stanley. James married Lexie Berecheree. 7-Dora Reid. Dora married Keith Kay, son of Thomas Kay and Margaret, on 29 May 1943 in Circular Head, Tasmania. They had four children: Wendy, Jill, Peter and Deborah. 8-Jill Kay. Jill married Graeme Horne. 8-Peter Kay. Peter married Jill Stewart. 6-Charles Reid. Charles married Ethel Marshall in 1917 in Tasmania. James next married Catherine Barrett, daughter of James Barrett and Catherine McDonald. Catherine was born on 6 Apr 1846 in Launceston and died on 4 Apr 1867 in George Town, Tasmania at age 20. Annabella Mary Reid was born about 1849. Annabella married her fisrt cousin David Hugh Murray, son of Andrew Carmichael Murray and Eliza Coombs Reid, on 13 Jul 1878 in Horton, now Circular Head. David was born on 14 Mar 1853 in Launceston and died on 20 Jan 1885 in Horton, now Circular Head at age 31. They had three children: Alexander, Annabella and Hugh Henry. 6-Alexander Murray was born on 28 May 1879 in Horton, now Circular Head, died on 2 Jun 1953 in Somerset at age 74, and was buried in General Cemetery, Somerset, Tasmania. He was a farmer, of Cooee, Tasmania Alexander married Evelyn Janet Kay, daughter of John Ferguson Kay and Hannah Ann Williams, on 20 Jun 1910 in Tasmania. Evelyn was born on 19 May 1893 in Montagu, died on 10 Aug 1963 in Somerset at age 70, and was buried in General Cemetery, Somerset, Tasmania. They had six children: John Clyde, Clarence, Ronald Hugh, Myra, Hazel and Alice Jean. 7-John Clyde Murray was born on 18 Jun 1911 in Stanley and died on 29 Nov 1993 in Terang, Victoria at age 82. John married Hilda Daisy Reeve, daughter of Richard James Reeve and Ethel Maud Norton, on 16 May 1931 in Wynyard, Tasmania. Hilda was born on 22 Sep 1909 in Wynyard, Tasmania and died on 6 Sep 1963 in Smithton General Hospital at age 53. They had six children: Clarence Norton Edmund, Graham Athol, Colin John, Lorraine Hazel, Errol Alexander and David Richard. 8-Clarence Norton Edmund Murray was born on 12 Nov 1932 in Smithton. Clarence married Ellen Betty Pearton, daughter of William Pearton and Jean Hay, on 2 Jul 1955 in New Norfolk. Ellen was born on 14 Jun 1934 in Queenstown. They had four children: Paul Lionel, Garry Norton, Darren Wayne and Tamieka Deerne. 9-Paul Lionel Murray was born on 27 May 1956 in New Norfolk. Paul married Amanda Harris on 27 Dec 1978 in Sydney, New South Wales. Amanda was born on 25 Apr 1956. 9-Garry Norton Murray was born on 15 Nov 1960 in New Norfolk. Garry married Judith Elizabeth Moorhouse, daughter of Anthony Moorhouse and Ella Smith. Judith was born on 13 Jan 1966. They had two children: Jamon David and Daniel Norton. 10-Jamon David Murray was born on 30 Sep 1988 in Launceston. 10-Daniel Norton Murray was born on 10 Dec 1993 in Launceston. 9-Darren Wayne Murray was born on 11 Jan 1967 in Hobart, Tasmania. Darren married Cindy Martin. They had one son: Travis Joshua. 10-Travis Joshua Murray was born on 18 Aug 2000 in New South Wales. Darren next married Loreley Delossantos on 26 Jan 1991 in St Michaels Catholic Church, Nowra, New South Wales. 9-Tamieka Deerne Murray was born on 20 Jul 1973 in Elim Women's Hospital, Hobart, Tasmania. Tamieka married Stephen Davey on 19 Feb 2000 in Perth. 8-Graham Athol Murray was born on 15 Jul 1935 in Scotch Town, Circular Head and died on 25 Aug 1993 in 14 Martin Street, Wynyard, Tasmania at age 58. Graham married Ronda Yvonne Dixon in Jun 1954 in Wynyard, Tasmania. Ronda was born on 22 Mar 1934. They had four children: Brian Athol, Frances Ann, Jennifer and James Edward. 9-Brian Athol Murray was born on 4 Sep 1955 in Wynyard, Tasmania. 9-Frances Ann Murray was born on 14 Dec 1957 in Wynyard, Tasmania. 9-Jennifer Murray was born on 3 Jan 1959 in Wynyard, Tasmania. Jennifer married Gary Ines. They had two children: Graeme and Elizabeth. 9-James Edward Murray was born on 23 Nov 1962 in Launceston. James married someone. He had one son: Quenton. 10-Quenton Murray. Graham married Barbara Florence Hall on 17 Jan 1964 in Burnie, Tasmania, Australia. Barbara was born on 24 Aug 1938. They had three children: Graham John, Barry Athol and Michael Andrew. 9-Graham John Murray was born on 16 Nov 1962 in Burnie, Tasmania, Australia. Graham married Glenda Stewart, daughter of Unknown and Thelma, on 14 Apr 1984 in Gospel Hall, Wynyard, Tasmania. They had two children: Bonnie-Eliza Lerlene and Elton-Jaques Farrington Stewart. 10-Bonnie-Eliza Lerlene Murray was born on 21 Jul 1991 in Burnie, Tasmania, Australia. 10-Elton-Jaques Farrington Stewart Murray was born on 22 Jul 1992 in Burnie, Tasmania, Australia. 9-Barry Athol Murray was born on 16 Jan 1963 in Burnie, Tasmania, Australia. Barry married Helen Brett on 24 Oct 1981 in Gutteridge Gardens, Wynyard. Helen was born on 25 Jul 1961 in Burnie, Tasmania, Australia. They had two children: Kellie-Ann and Benjamin Andrew. 10-Kellie-Ann Murray was born on 14 Jun 1983 in Burnie, Tasmania, Australia. 10-Benjamin Andrew Murray was born on 28 Jun 1985 in Burnie, Tasmania, Australia. 9-Michael Andrew Murray was born on 7 Feb 1969 in Burnie, Tasmania, Australia. 8-Colin John Murray was born on 14 Jun 1938 in Smithton. Colin married Janice Margaret Hutchison, daughter of Alec Hutchison and Meg Nicholls, on 24 Mar 1962 in Gospel Hall, Wynyard, Tasmania. Janice was born on 2 Jan 1944 in Wynyard, Tasmania. They had four children: Russell John, Shereelyn Lea, Peter David and Louise Helen. 9-Russell John Murray was born on 19 Jun 1964 in Wynyard, Tasmania. Russell married Carolyn Janet Rubock, daughter of Peter Rubock and Janet, on 2 Jun 1990 in Wynyard, Tasmania. Carolyn was born on 21 Apr 1968 in Burnie, Tasmania, Australia and died on 16 Oct 2002 in Palliative Care Unit, Burnie Hospital at age 34. They had two children: Connor John and Shannon Margaret. 10-Connor John Murray was born on 12 Feb 1995 in Burnie, Tasmania, Australia. 10-Shannon Margaret Murray was born on 8 Feb 1998 in Burnie, Tasmania, Australia. 9-Shereelyn Lea Murray was born on 4 Mar 1965 in Wynyard, Tasmania. Shereelyn married Phillip Owen Cupit on 24 Mar 1990 in Pines Resort, Seven Mile Beach, Hobart. Phillip was born on 21 Dec 1963 in Hobart, Tasmania. They had one son: Benjamin Neil. 10-Benjamin Neil Cupit was born on 3 Jan 1997 in St Vincents Hospital. 9-Peter David Murray was born on 27 Aug 1970 in Wynyard, Tasmania. Peter married Sharon Ellen Wise, daughter of Robert Wise and Merle Smith, on 25 Mar 1194 in Baptist Church, Wynyard, Tasmania. Sharon was born on 21 Mar 1972 in Wynyard, Tasmania. They had two children: Liam David and Tara Ellen. 10-Liam David Murray was born on 23 Apr 1996 in Burnie, Tasmania, Australia. 10-Tara Ellen Murray was born on 13 Jul 1998 in Burnie, Tasmania, Australia. 9-Louise Helen Murray was born on 14 Dec 1972 in Wynyard, Tasmania. Louise married Brett Johnson on 4 Dec 1993 in Burnie, Tasmania, Australia. Brett was born on 13 Jun 1975. 8-Lorraine Hazel Murray was born on 30 Dec 1942 in Smithton. Lorraine married Graeme Victor Hardstaff, son of Albert Hardstaff and Dora, on 10 Aug 1963 in Fremantle, Western Australia. Graeme was born on 28 May 1940 in Burnie, Tasmania, Australia. They had four children: Duane Peter, Michelle Lyn, Kurt Anthony and Nicole Lee. 9-Duane Peter Hardstaff was born on 3 Oct 1964 in Burnie, Tasmania, Australia. Duane married Lee-Ann Madden on 12 Aug 1989 in Albany, Western Australia. Lee-Ann was born on 1 Mar 1968 in Albany, Western Australia. They had two children: Erin Kaela and Jayden Aaron. 10-Erin Kaela Hardstaff was born on 1 Oct 1995 in Perth, Western Australia. 10-Jayden Aaron Hardstaff was born on 25 Jan 1997 in Perth, Western Australia. 9-Michelle Lyn Hardstaff was born on 5 Dec 1965 in Burnie, Tasmania, Australia. Michelle married Scott Leon Sharah Adamson on 5 Jan 1997 in Blue Mountains, New South Wales. Scott was born on 13 Mar 1969 in Melbourne, Victoria. They had two children: Gabrielle Hannah and James William. 10-Gabrielle Hannah Adamson was born on 25 Jun 1998 in Sydney, New South Wales. 10-James William Adamson was born on 5 Dec 1999 in Sydney, New South Wales. 9-Kurt Anthony Hardstaff was born on 23 Jan 1969 in Burnie, Tasmania, Australia. Kurt married Fiona Louise Lane, daughter of Peter Lane and Kathy, in Mar 1994 in Bunbury, Western Australia. Fiona was born on 23 Dec 1971 in Bunbury, Western Australia. 9-Nicole Lee Hardstaff was born on 16 Feb 1973 in Smithton. Nicole married Scott Andrew Kelly, son of Colin Kelly and Patricia Glover, on 6 Apr 1996 in Burnie, Tasmania, Australia. Scott was born on 3 Apr 1969 in Burnie, Tasmania, Australia. They had one son: Daniel James. 10-Daniel James Kelly was born on 2 Jun 1995 in Burnie, Tasmania, Australia. 8-Errol Alexander Murray was born on 6 Feb 1946 in Smithton. Errol married Margaret Baldock, daughter of Levic Baldock and Madge Oliver, on 30 Dec 1967 in St Stephen's Church, Smithton. Margaret was born on 22 Dec 1946 in Smithton. They had three children: Kym Adele, Scott Gregory and Jodi-Lyn. 9-Kym Adele Murray was born on 26 Nov 1968 in Spencer Hospital, Wynyard. Kym married Michael John Smith, son of Barry Smith and Patricia Lowrie. Michael was born on 23 Feb 1964. They had one daughter: Kaicee Lyn. 10-Kaicee Lyn Smith-Whitsitt was born on 20 Jan 1993 in Burnie, Tasmania, Australia. Kym next married Paul Thomas Whitsitt, son of Thomas Whitsitt and Susanne Frimley, on 15 Apr 200 in Gutteridge Gardens, Wynyard. Paul was born on 28 Jun 1967 in Spencer Hospital, Wynyard. They had one son: Matthew Paul. 10-Matthew Paul Whitsitt was born on 23 Sep 2000 in Burnie, Tasmania, Australia. 9-Scott Gregory Murray was born on 31 Jan 1971 in Spencer Hospital, Wynyard. Scott married Michelle Lee Symes, daughter of Arnold Symes and Valerie Smith, on 11 Nov 1995 in Baptist Church, Wynyard, Tasmania. Michelle was born on 21 Apr 1971 in Footscray, Victoria. They had three children: Brittany Lee, Jake Gregory and Brody John. 10-Brittany Lee Murray was born on 5 Jul 1995 in Burnie, Tasmania, Australia. 10-Jake Gregory Murray was born on 22 Feb 1997 in Burnie, Tasmania, Australia. 10-Brody John Murray was born on 5 Jan 2001 in Hobart, Tasmania. 9-Jodi-Lyn Murray was born on 11 Nov 1972 in Spencer Hospital, Wynyard. Jodi-Lyn married David Anthony Sutton, son of Peter Sutton and Pamela Maxwell, on 2 Apr 1994 in St. David's Park, Hobart. David was born on 6 Feb 1971 in Footscray, Victoria. They had two children: Emily Brooke and William Alexander. 10-Emily Brooke Sutton was born on 4 May 1993 in Hobart, Tasmania. 10-William Alexander Sutton was born on 20 Mar 1996 in Hobart, Tasmania. 8-David Richard Murray was born on 26 Mar 1955 in Wynyard, Tasmania. David married Gayle Rosalie Batty on 10 Jan 1977 in Devonport. David next married Brunislava Dunity Michalowski, daughter of Walenty Michalowski and Marija, on 15 Apr 1989 in Longford, Tasmania. They had two children: Stephen John Walentyne and Emma Maria Daisy. 9-Stephen John Walentyne Murray was born on 3 Mar 1991. 9-Emma Maria Daisy Murray was born on 14 May 1993. 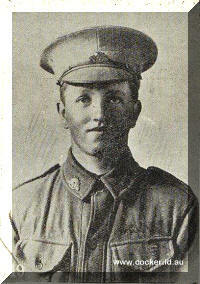 7-Clarence Murray was born on 23 Aug 1912 in Stanley and died on 25 Aug 1912 in Stanley. 7-Ronald Hugh Murray was born on 13 May 1914 in Irishtown and died on 23 Jun 1996 in Mandurah, Western Australia at age 82. Ronald married Stella Rollins. They had five children: Ian Maxwell, Ronald, Bruce, Allan and Margaret. 8-Ian Maxwell Murray was born in 1942 and died on 27 Nov 1969 in Camdale, Tasmania at age 27. 8-Ronald Murray. Ronald married Susan Close. They had two children: Nicola and Fiona. 9-Fiona Murray. Ronald next married Pat Kelly. They had three children: Kelli, Dana and James. 8-Allan Murray. Allan married Kay Mansell. They had one son: Brendan. 9-Brendan Murray. Brendan married Allison Cann, daughter of William Cann and Margaret Smith. They had two children: Ashley and Xavia. Allan next married Faye Dixon. 7-Myra Murray was born on 10 Mar 1918. Myra married Frederick Poke. They had four children: Betty, Barry, Greg and Dale. 8-Betty Poke. Betty married Lyndon Moore. They had two children: Colin and Trudy. 8-Barry Poke. Barry married Maxine Bartholomew. They had two children: Kendra and Darren. 9-Darren Poke. Barry next married Sharon Ellis. They had one son: Kurt. 8-Greg Poke. Greg married Lee. They had two children: Jamie and Jason. 8-Dale Poke. Dale married Sally Spinks. They had one son: Simon. 7-Hazel Murray was born on 19 Dec 1922 and died on 14 Dec 2008 in Southport, Queensland, Australia at age 85. Hazel married Alfred William Rawlings, son of James Rawlings and Charlotte Jane Ollington, in Sep 1940 in Smithton. Alfred was born on 18 Feb 1915 in Smithton and died on 11 Jan 1997 in Burnie, Tasmania, Australia at age 81. They had three children: Harry Geoffrey, Dean and Elaine. 8-Harry Geoffrey Rawlings was born on 2 May 1941 in Smithton and died on 4 Jun 1994 in Burnham, Norfolk, England at age 53. Harry married May Perry. They had three children: Rodney, Amanda and Scott. 9-Rodney Rawlings. Rodney married Karen. 8-Dean Rawlings. Dean married Sheila. They had two children: Deanne and Hannah. Dean next married Joy. They had three children: Dean, Richard and Clint. 8-Elaine Rawlings. Elaine married Terence Patrick Richards. Terence was born on 24 Mar 1944. Elaine next married Graeme John White, son of Athol White and Lorna Jones, on 21 Nov 1961 in Burnie, Tasmania, Australia. Graeme was born on 16 Mar 1942. They had three children: Suzanne, Robert and Andrea. 9-Suzanne White. Suzanne married John Ellery. They had two children: Taleitha and Bronson. 9-Robert White. Robert married Anna. They had two children: (No Given Name) and Jake. 9-Andrea White was born on 19 Dec 1968. Andrea married Timothy Richards, son of Terence Richards and Unknown. Timothy was born on 10 Aug 1968. They had one daughter: Paige. 7-Alice Jean Murray was born on 1 Aug 1926 and died on 7 Jan 2004 in Burnie, Tasmania, Australia at age 77. Alice married John Malcolm Galespie on 30 Nov 1946. John was born on 30 Nov 1908. Alice next married Joseph Leonard Grieve on 17 Feb 1968. Joseph was born on 5 May 1931 and died on 23 Oct 2001 in Burnie General Hospital at age 70. They had two children: Joy and Patrick. 8-Joy Grieve was born on 15 Sep 1968. Joy married Adrian Blackberry. 8-Patrick Grieve was born on 8 Dec 1969. Patrick married Judith Fahey. They had one son: Liam Patrick. 9-Liam Patrick Grieve was born on 11 Feb 1999. 6-Annabella Murray was born on 2 Jan 1882 in Horton, now Circular Head and died on 6 Sep 1885 in Horton, now Circular Head at age 3. 6-Hugh Henry Murray was born on 8 Feb 1885 in Horton, now Circular Head. Hugh married Violet Victoria Addison in 1913. They had two children: Hugh Edward and Irene Vivienne. 7-Irene Vivienne Murray was born about 1916. Irene married Ernest Terry Blizzard, son of William Blizzard and Fanny Lillian Horton. Ernest was born on 16 Sep 1915. They had four children: Barry, Patsy, Robert and Barbara Marlene. 8-Barry Blizzard. Barry married Sue Colless, daughter of Gordon Colless and Beryl Cole. They had one son: Mark. 8-Barbara Marlene Blizzard was born on 18 Sep 1939 in Smithton. Barbara married Stanley George Burgess, son of George Burgess and Ivy Ethel Marthick, on 26 Feb 1966 in Stanley. Stanley was born on 24 Feb 1930 in Smithton. They had two children: Amanda Jane and Ricky George. 9-Amanda Jane Burgess was born on 20 Nov 1966 in Werribee, Victoria. Amanda married Keith Zara Henderson. Keith was born on 7 Nov 1951. They had two children: Morgan Zara and Farrah Grace. 10-Morgan Zara Henderson was born on 6 Jan 1997 in Burnie, Tasmania, Australia. 10-Farrah Grace Henderson was born on 5 Nov 2002 in Burnie, Tasmania, Australia. 9-Ricky George Burgess was born on 14 Aug 1968 in Werribee, Victoria. Ricky married Melanie Patricia Griffiths 10 1 21995 in Kawana Waters, Queensland. Melanie was born on 26 Mar 1973. They had two children: Zena Jane and Zarah Abby. 10-Zena Jane Burgess was born on 3 Mar 1993 in Penrith, New South Wales. 10-Zarah Abby Burgess was born on 8 Dec 1998 in Melbourne, Victoria. William John Coombs Reid was born on 26 Feb 1850 in Launceston and died in 1937 at "Ahamore", Duck River, Smithton, Tasmania at age 87. William married Margaret Sarah Palmer, daughter of John Palmer and Ann Barrett, on 10 Dec 1879 in Horton, now Circular Head. Margaret was born on 1 Mar 1846 in Upper Bagdad, Tasmania and died on 14 Jun 1893 in Stanley at age 47. They had four children: William John, Eleanor Annie, Walter Stuart and James Barrett. 6-William John Reid was born on 18 Jul 1881 in Horton, now Circular Head and died on 17 Mar 1895 in Stanley at age 13. 6-Eleanor Annie Reid was born on 31 Jul 1883 in Horton, now Circular Head and died on 12 Jul 1968 at age 84. Eleanor married Raymond Gordon Cotton, son of John Shelton Cotton and Ellen Elizabeth Amos, on 23 May 1905 in Tasmania. Raymond was born in 1884 in Port Sorell. They had four children: Margaret Ellen, William John, Leslie Gordon and Francis Raymond. 7-Margaret Ellen Cotton. Margaret married William Patrick Irwin on 24 Dec 1925. 7-William John Cotton. William married Leila V. Ferguson. Leila was born on 20 Nov 1912. They had four children: Jillian Claire, Madge Lillian, Helen Gael and Gaye Maree. 8-Jillian Claire Cotton was born on 9 Jul 1939. Jillian married John Shackloth. They had three children: Karen, Claire and Helen. 9-Karen Shackloth was born on 26 Dec 1966. 9-Claire Shackloth was born on 6 Dec 1967. Claire married Darren Tatlow. 9-Helen Shackloth was born on 4 Dec 1968. 8-Madge Lillian Cotton was born on 28 Apr 1941 and died on 29 Jan 1942. 8-Helen Gael Cotton was born on 9 Mar 1943. Helen married Graham Thurley. They had two children: Matthew and Andrea. 9-Matthew Thurley was born on 26 Oct 1971. 9-Andrea Thurley was born on 9 May 1974. 8-Gaye Maree Cotton was born on 24 Jan 1945. Gaye married Kerrin O'Halloran. They had three children: Catherine, Lynne and Anita. 9-Catherine O'Halloran was born on 16 Apr 1965. 9-Lynne O'Halloran was born on 24 Dec 1966. 9-Anita O'Halloran was born on 26 Jan 1968. 6-Walter Stuart Reid was born on 24 Dec 1885 in Horton, now Circular Head and died in 1963 in Smithton at age 78. Walter married Elizabeth Mary Storey, daughter of Owen Storey and Helen Craib, on 24 May 1913 in All Saints Church, Irish Town, Tasmania. Elizabeth was born on 6 Mar 1891 in Launceston. They had five children: Owen William, Joan Madge, Stewart Walter, Lyle Gordon and Lorna Eleanor. 7-Owen William Reid was born on 20 Jan 1914. Owen was the author of From Green Knowe to Green Hill and Beyond - A Strand of the Reid Story. Owen married Jean De Montgomerie on 14 May 1938. They had four children: Jennifer Anne, Kerry Owen, Margo Lynne and Craig Ian. 8-Jennifer Anne Reid was born on 23 Jun 1939. Jennifer married Edward Constable on 25 Apr 1965 in Tasmania. They had two children: Claire and Caitlin. 9-Claire Constable was born on 27 May 1966. 9-Caitlin Constable was born on 5 Aug 1969. 8-Kerry Owen Reid was born on 15 Apr 1941. Kerry married Susan Potter on 15 Aug 1964 in Tasmania. They had three children: James Scott, Robert Owen and Catherine L..
9-Robert Owen Reid was born on 10 Apr 1967. 9-Catherine L. Reid was born on 22 Dec 1970. 8-Margo Lynne Reid was born on 18 Jul 1945. Margo married Brian Butler on 22 Dec 1968 in Tasmania. They had one son: Rhys L..
9-Rhys L. Butler was born on 11 Aug 1973. 8-Craig Ian Reid was born on 19 Sep 1952. Craig married Susan P. Jones on 16 Jul 1977 in Tasmania. They had two children: Sophie R. and Obie Felix. 9-Sophie R. Reid was born on 18 Mar 1983. 9-Obie Felix Reid was born on 11 Dec 1986. 7-Joan Madge Reid. Joan married Cyril Inness on 13 Jul 1940 in Tasmania. Cyril died on 14 Aug 1998. They had two children: Lois and Gaye. 8-Lois Inness was born on 19 May 1941. Lois married Carl Schram on 25 Jan 1964 in Tasmania. They had one son: Bradley. 9-Bradley Schram was born on 10 May 1964. Lois next married Laurie Wotherspoon on 28 Aug 1976 in Tasmania. They had one son: Jamie. 8-Gaye Inness was born on 3 Nov 1947. Gaye married Robert Edwards. They had three children: Leanne, Teresa and Robert. 9-Leanne Edwards was born on 10 Oct 1967. 9-Teresa Edwards was born on 5 Mar 1970. 9-Robert Edwards was born on 17 Nov 1971. 7-Stewart Walter Reid died in 1963. Stewart married Winifred Finter. They had nine children: Joan, Julie, Shirley, Geoffrey, Dudley, Alan, Eric, Leslie and Ian. 8-Shirley Reid was born on 24 Sep 1943. Shirley married Martin Van Tiernan on 25 Nov 1967 in Tasmania. They had three children: Garry, Michelle and Mark. 9-Garry Van Tiernan was born on 12 Oct 1969. 9-Michelle Van Tiernan was born on 12 Apr 1972. 9-Mark Van Tiernan was born on 13 Aug 1973. 8-Geoffrey Reid was born on 30 Dec 1945. Geoffrey married Ann Britton on 17 Aug 1968. They had three children: Wayne Geoffrey, Craig and Paul. 9-Wayne Geoffrey Reid was born on 11 Feb 1971. Wayne married Sharon Ann Burgess, daughter of Kenneth Burgess and Larraine Stokes, on 7 Nov 1992 in Wynyard, Tasmania. Sharon was born on 22 Sep 1970 in Wynyard, Tasmania. They had two children: Daniel Wayne and Keira Ann. 10-Daniel Wayne Reid was born on 30 Nov 1995 in Hobart, Tasmania. 10-Keira Ann Reid was born on 26 Jun 1998 in Hobart, Tasmania. 9-Craig Reid was born on 25 Aug 1973. 9-Paul Reid was born on 27 Sep 1975. 8-Dudley Reid was born on 4 Feb 1949. Dudley married Sue Hurburg on 26 Oct 1973 in Tasmania. They had two children: Grant and Alison. 9-Grant Reid was born on 1 Apr 1974. 9-Alison Reid was born on 26 Jul 1977. 8-Alan Reid was born on 15 Jan 1953. Alan married Debbie Wells on 30 Jul 1977 in Tasmania. They had two children: Kurt and Katlyn. 9-Kurt Reid was born on 22 Dec 1981. 9-Katlyn Reid was born on 3 Sep 1987. 8-Eric Reid was born on 20 Jan 1954. Eric married Jennifer Lennard on 13 Mar 1982 in Tasmania. They had one son: Tomothy. 9-Tomothy Reid was born on 10 Apr 1986. 8-Leslie Reid was born on 25 Feb 1957. Leslie married Jacqueline Coward, daughter of Ray Coward and Beat Cann, on 2 Apr 1983 in Tasmania. They had one daughter: Karlie. 9-Karlie Reid was born on 1 Nov 1983. 8-Ian Reid was born on 23 May 1961. Ian married Vicki Small on 14 Apr 1985 in Tasmania. They had two children: Chrissie and Rebecca. 9-Chrissie Reid was born on 30 Jan 1985. 9-Rebecca Reid was born on 13 Apr 1986. 7-Lyle Gordon Reid. Lyle married Jessie Alice Poke on 12 May 1945 in Tasmania. They had one daughter: Helen. 8-Helen Reid was born on 26 Nov 1947. Helen married Christopher Scarr on 16 Jan 1971 in Tasmania. They had four children: Joel, Edward, Hayley and Louis. 9-Joel Scarr was born on 16 Jan 1976. 9-Edward Scarr was born on 23 May 1977. 9-Hayley Scarr was born on 26 Oct 1978. 9-Louis Scarr was born on 23 Dec 1982. 7-Lorna Eleanor Reid was born on 4 Nov 1916. Lorna married George Thomas Williams on 16 Apr 1938 in Tasmania. They had two children: Karleen and Janice Ila. 8-Karleen Williams was born on 7 Nov 1939. Karleen married Len Reasons on 10 Jan 1959 in Tasmania. They had three children: Wendy, Debbie and Shelley. 9-Wendy Reasons was born on 8 Jan 1961. Wendy married Chris Jenkins on 16 Jun 1979 in Tasmania. They had two children: Angela and Emily. 10-Angela Jenkins was born on 26 Aug 1983. 10-Emily Jenkins was born on 24 Sep 1985. 9-Debbie Reasons was born on 8 Jan 1961. Debbie married Gary Dobson. 9-Shelley Reasons was born on 9 Jun 1962. Shelley married Darren James Blazely, son of Raymond Blazely and Irene Hamilton. Darren was born on 22 Mar 1966. They had one daughter: Chelsea Rose. 10-Chelsea Rose Blazely was born on 27 May 1997. Shelley next married Peter Jackson on 8 Nov 1980 in Tasmania. They had two children: Melissa and Katie. 10-Melissa Jackson was born on 24 Jul 1983. 10-Katie Jackson was born on 17 Feb 1986. 8-Janice Ila Williams was born on 28 Oct 1944. Janice married David Bishop on 7 Jan 1967 in Tasmania. They had two children: Sarah and Rachel. 9-Sarah Williams was born on 22 Oct 1971. 9-Rachel Williams was born on 3 May 1973. 6-James Barrett Reid was born on 4 Apr 1889 in Horton, now Circular Head. James married Lily Mabel Allen in 1920 in Tasmania. They had four children: James Leslie, Maurice Coombs, Henry Barrett and Margaret Joy. 7-James Leslie Reid was born on 15 Feb 1921. 7-Maurice Coombs Reid was born on 1 Jul 1922. 7-Henry Barrett Reid was born on 4 Dec 1952. 7-Margaret Joy Reid was born on 12 Dec 1929. William next married Evelyn Blackett, daughter of William Alexander Blackett and Margaret Madden, on 11 Nov 1901 in St Pauls Church, Stanley. Evelyn was born on 1 Apr 1862 in Linton, Victoria. They had three children: Howard, Roma Margaret and Winifred. 6-Dr. Howard Reid died in 1944. 6-Roma Margaret Reid was born on 2 Oct 1903 in Tasmania and died in 1967 in Tasmania at age 64. 6-Winifred Reid. Winifred married Neville Thrum. They had one daughter: Elizabeth. Henry Murray Reid was born on 8 Feb 1852 in Launceston and died on 1 Nov 1903 in Irishtown at age 51. Henry Murray Reid and his wife Hannah Maria Seward took up land at Irish Town, Tasmania, and farmed it. They also conducted the first Post Office and General Store in the district. Henry married Hannah Maria Saward, daughter of George Henry Saward and Rachel Ann Williams, on 17 Jan 1877 in Horton, now Circular Head. Hannah was born on 18 Oct 1859 in Horton, now Circular Head and died on 8 Mar 1953 in Irish Town at age 93. They had 15 children: Eleanor Rachel Mary, George Henry, William, Clarence Charles, Thomas James, Douglas Walter, Wilfred John, Samuel Barrett, Ethel Jane, Louisa Rose, James Saward, Annie Murray, Annabella Ada May, Margaret Clara and Lillian Victoria. 6-Eleanor Rachel Mary Reid was born on 4 Jan 1878 in Horton, now Circular Head. Eleanor married Benjamin Young on 4 Apr 1899 in Stanley. Benjamin was born in 1874 in Watford, Hertfordshire, England and died in 1954 at age 80. Another name for Benjamin was Bennie. They had 13 children: Rose, Ivy, Zillah, Eleanor, Edna, May, John, Frederick Reid, Phillip George, Bertha Annie, Amy Clara, Benjamin Henry and Kay Ada. 7-Phillip George Young was born on 25 Aug 1899 in Stanley and died on 22 Jun 1969 in Smithton at age 69. Phillip married Rita Margaret Whitely in 1931 in Seventh Day Adventist Church, Hobart. Rita was born on 9 Jun 1903 in Deloraine, Tasmania and died on 8 Apr 1976 in Smithton at age 72. 7-Bertha Annie Young was born in 1900 in Stanley. 7-Amy Clara Young was born in 1902 in Stanley. 7-Benjamin Henry Young was born in 1903 in Stanley. 7-Kay Ada Young was born in 1905 in Stanley. 6-George Henry Reid was born on 3 Sep 1879 in Horton, now Circular Head and died on 17 Sep 1929 in Irish Town at age 50. George married Eliza Carroll on 21 Jun 1905 in Stanley. They had four children: Henry Thomas, John, Frances and Ethel. 7-Ethel Reid. Ethel married Hayes. 6-William Reid was born on 26 Jun 1881 in Horton, now Circular Head. William married Elfa Llona Smith on 22 Dec 1913 in All Saints Church, Irish Town, Tasmania. They had two children: Melville and Roy. 6-Clarence Charles Reid was born on 4 Jun 1883 in Horton, now Circular Head. Clarence married Millicent May Turner, daughter of William Turner and Mary Ann Youl, on 17 Oct 1906 in St Pauls Church, Stanley. Millicent was born on 11 Mar 1888 in Fingal, Tasmania and died on 14 Jun 1911 in Irishtown at age 23. They had four children: Murray, Kenneth, Clarence and Ella Mary. 7-Murray Reid. Murray married Heather. They had two children: Beryl and Roslyn. 7-Kenneth Reid. Kenneth married someone. He had two children: Mick and Elaine. 8-Mick Reid. Mick married Merle. They had two children: Clinton and Monique. 8-Elaine Reid. Elaine married Maurice Gordon Scolyer, son of Gordon Scolyer and Rita. Maurice was born on 26 Mar 1943 and died on 27 Jun 2002 at age 59. They had four children: Wayne, Darren, Leanne and Scott. 9-Wayne Scolyer. Wayne married Dianne. They had two children: Mitchell and Emma. 9-Leanne Scolyer. Leanne married Adrian Littlejohn, son of Unknown and Merlene Kay. They had three children: Brooke, Phoebe and Aaron. 7-Ella Mary Reid. Ella married McFarlane. Clarence next married Mary Matthews on 30 Sep 1914 in Irishtown. 6-Thomas James Reid was born on 16 Jan 1885 in Horton, now Circular Head. Thomas married Hilda Unknown. They had three children: Thomas, Jean and Henry. 6-Douglas Walter Reid was born on 11 Aug 1886 in Horton, now Circular Head and died on 8 Jan 1945 at age 58. Douglas married Emily May Haywood on 16 Apr 1913 in St Georges Church, Burnie. Emily was born on 21 Jan 1886. They had one son: Joyce. 6-Wilfred John Reid was born on 11 Mar 1888 in Horton, now Circular Head and died on 27 Feb 1945 in Forest, Circular Head at age 56. Wilfred married Neena Lenna O'Connor, daughter of Ernest O'Connor and Nina Thorp, on 17 Oct 1916 in St Pauls Church, Stanley. Neena was born in 1898 and died on 8 Apr 1937 in Tasmania at age 39. They had four children: Valma, Vivienne, Audrey and Geoffrey. 7-Valma Reid. Valma married Bercheree. 7-Vivienne Reid. Vivienne married H. Anthony. 6-Samuel Barrett Reid was born on 23 Feb 1890 in Stanley. Samuel married Edith Elizabeth Cotton, daughter of Edgar George Cotton and Maria Wardlaw, on 20 Feb 1918 in Stanley. Edith was born on 11 Sep 1885 in Fingal, Tasmania and died on 15 Mar 1954 in Launceston at age 68. They had four children: Joyce, Kathleen, Edgar and Ruth. 7-Kathleen Reid. Kathleen married Douglas Grieve. They had two children: Peter and Cosby. 8-Peter Grieve. Peter married Evelyn. 8-Cosby Grieve. Cosby married someone. He had three children: David, Theresa and Scott. 9-Scott Grieve. Scott married Caitlin St. John. 6-Ethel Jane Reid was born on 5 Nov 1891 in Stanley. Ethel married Patrick Henry Carroll, son of Denis Carroll and Ann Enniss, on 26 Nov 1913 in Registrars Office, Stanley. Patrick was born on 15 Mar 1886 in Horton, now Circular Head. They had one daughter: Sylvia. 7-Sylvia Carroll. Sylvia married Maurice Lightfoot. They had one son: Roger. 6-Louisa Rose Reid was born on 15 Aug 1893 in Stanley. Louisa married Ewen Matthews on 20 Feb 1913 in All Saints Church, Irish Town, Tasmania. They had nine children: Stanley, Lillian Mary, Annie, Ethel, Daphne, Rosalie, Evelyn, Ewan Henry and Elizabeth Rachel. 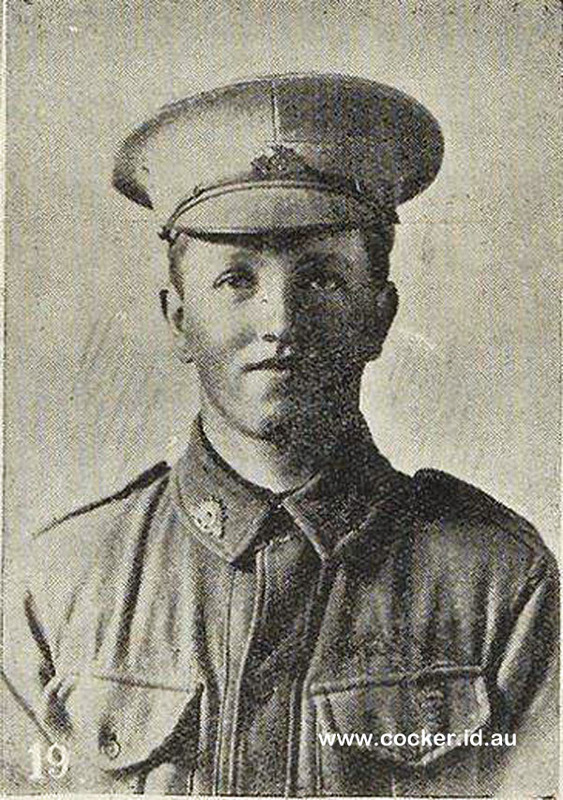 6-James Saward Reid was born on 21 Aug 1895 in Stanley and died on 29 Jul 1916 in the First World War at Pozieres, Somme Sector, France at age 21. 6-Annie Murray Reid was born on 20 Nov 1897 in Stanley and died on 17 Jan 1934 in Tasmania at age 36. Annie married Walter Amos, son of Malcolm Amos and Jessie Davidson, on 15 Jul 1918 in Smithton. Walter was born on 15 Sep 1895 in Mersey and died on 7 Nov 1981 in Circular Head, Tasmania at age 86. They had three children: Walter, Jean and Claire. 7-Walter Amos was born on 16 Jul 1919 in Stanley and died on 23 Oct 1992 in Smithton at age 73. 7-Jean Amos. Jean married Johnson. 7-Claire Amos was born in 1927 and died on 20 Feb 2009 at age 82. Claire married Luttrell. 6-Annabella Ada May Reid was born on 5 Nov 1899 in Stanley. Annabella married Edwin Henry Medwin, son of Henry Charles Medwin and Eliza Ellen House, on 17 Jul 1918 in All Saints Church, Irish Town, Tasmania. Edwin was born on 19 Oct 1896 in Stanley. They had four children: Henry, Maureen, Isabel and James. 7-Maureen Medwin. Maureen married Porter. 6-Margaret Clara Reid was born in 1901 in Stanley. Margaret married Harry Graham. They had two children: Bruce and Trevor. 6-Lillian Victoria Reid was born in 1902 in Stanley. Lillian married James Mummery. They had five children: Harold, Geoffrey, Shirley, Mervyn and Brenda. Alexander Thomas Gray Reid was born on 10 Apr 1855 in Launceston. Alexander married Marianne Harriet Maud Amos on 12 Dec 1900 in Tasmania. They had one son: James Henry Athol. 6-James Henry Athol Reid was born on 11 Sep 1901 in Stanley and died on 25 Dec 1905 in Stanley at age 4.